Ausdance National recently announced the cancellation of the 2019 Australian Dance Awards. Shrinking government funding for Ausdance National has resulted in reduced staffing and financial reserves that has led to this decision. 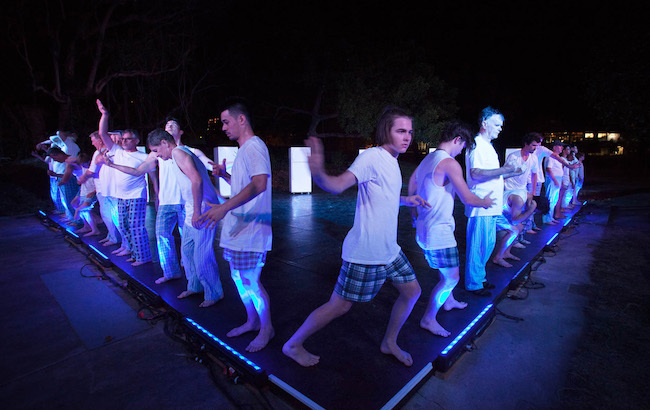 Meanwhile, Ausdance National affirmed it would continue its partnership with Tracks Dance Company to present the National Dance Forum in Darwin on August 9 and 10. 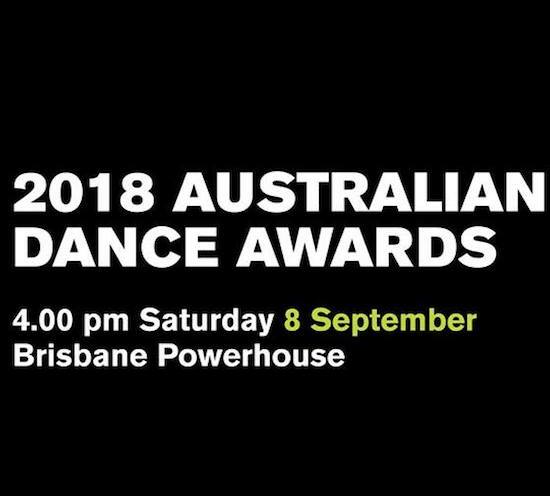 Presented by Ausdance and Harlequin Floors, the 2018 Australian Dance Awards were held at Brisbane Powerhouse on Saturday, September 8 alongside an exciting display of Australian dance. The annual Awards celebrate the talent, vibrancy and innovation of our dancers, choreographers and leaders across the country. Ausdance National and the Australian Dance Awards Selection Panel and Advisors have announced the long list for the 2018 Australian Dance Awards. Congratulations to all nominees! The final winners will be announced at the 2018 Awards Ceremony in Brisbane on September 8. Nominate for 2018 Australian Dance Awards! Nominations for the 2018 Australian Dance Awards are now open! Voting will close at midnight on February 28, 2018. Head to the Ausdance website to nominate memorable or outstanding performances, people or achievements from this year. 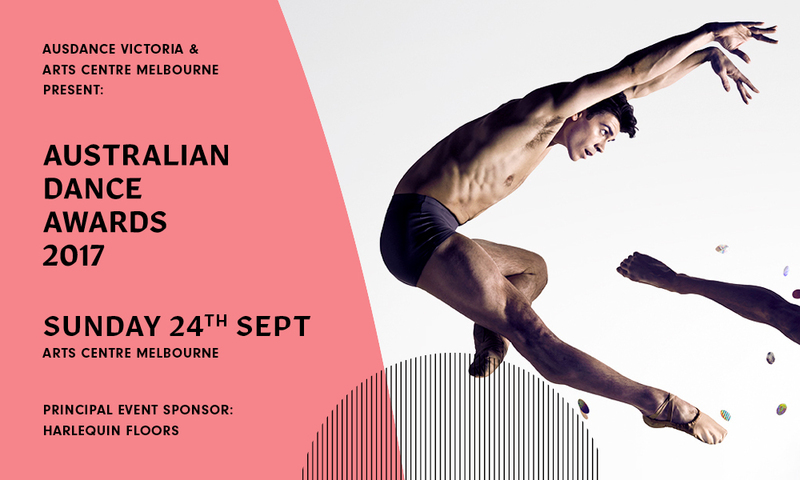 Ausdance Victoria recently announced the stellar line-up of performances, presenters and hosts for the 2017 Australian Dance Awards, taking place at the Playhouse, Arts Centre Melbourne on Sunday, September 24. Celebrating 20 years in 2017, the Awards are the pre-eminent event on the dance industry calendar. Ausdance Australia has announced the recipients of the 2017 Hall of Fame and Lifetime Achievement Awards, which will be presented at The Australian Dance Awards (ADA) on Sunday, September 24. 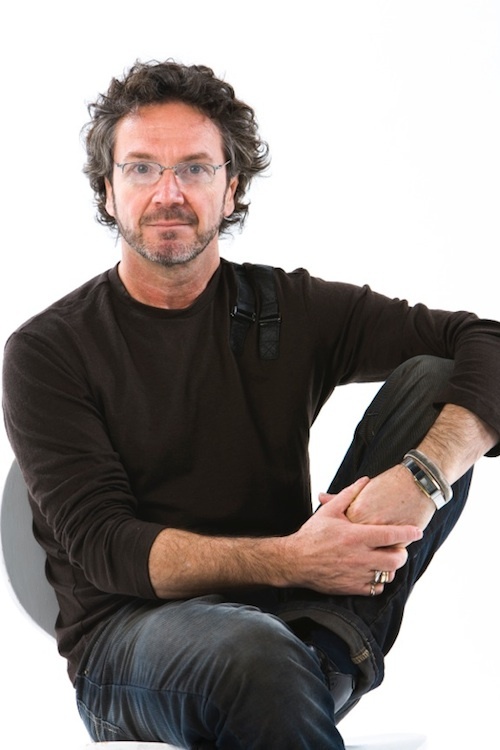 This year’s Hall of Fame inductee is dancer, actor, choreographer, activist and writer Noel C. Tovey AM. The Lifetime Achievement Award will be presented to Helen Herbertson, a seminal figure in Australian dance. The nominees for one of the country’s most prestigious performing arts awards, the Australian Dance Awards, have been announced! Celebrating 20 years in 2017, the Awards are the pre-eminent event on the dance industry calendar. This year's Awards will be held in Melbourne on Sunday, September 24. Ausdance has announced the longlist of nominations for the 2017 Australian Dance Awards. The official shortlist will be announced mid-July, with final winners being formally announced at the 2017 Australian Dance Awards Ceremony in Melbourne on Sunday, September 24. The 2016 Australian Dance Awards were presented to a packed and enthusiastic audience in the Heath Ledger Theatre of the State Theatre Centre of Western Australia on Sunday night, September 18. Amidst a full performance program, with West Australian dance companies featuring strongly, MC and Local ABC newsreader Briana Shepherd guided the presentation of 12 awards. Ausdance has announced that the Australian Dance Awards Selection Panel has further narrowed down the extensive list of nominations for the 2016 Dance Awards. The official shortlist has now been revealed three months after the longlist was posted. Ausdance has announced that the Australian Dance Awards Selection Panel has narrowed the extensive list of nominations for the 2016 Dance Awards. The official shortlist will be announced in July, with final winners being formally announced at the 2016 Australian Dance Awards Ceremony in Perth on Sunday, September 18. Nominate for 2016 Australian Dance Awards! Nominations for the 2016 Australian Dance Awards are open until Sunday, February 28. Head to the Dance Awards’ website to nominate memorable or outstanding performances, people or achievements from last year. 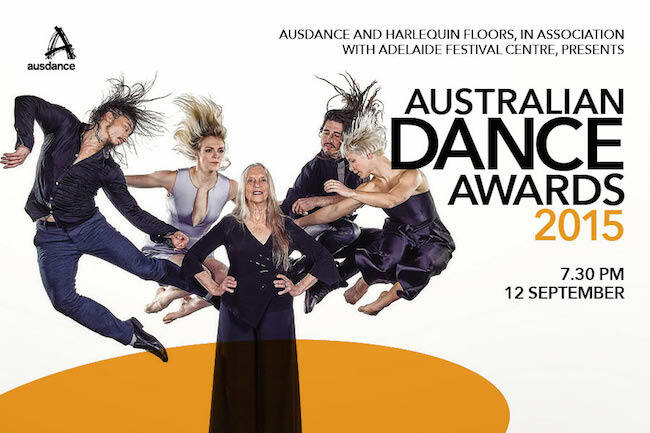 Ausdance and Harlequin Floors staged the 18th Australian Dance Awards on Saturday, September 12, bringing the prestigious event to Adelaide for the very first time. A great night was had by all, with outstanding performances from many, including Restless Dance Theatre, Melbourne City Ballet and Australian Dance Theatre. In an evening that celebrated the best in Australian dance, the 2015 Australian Dance Awards brought together some of Australia’s best dancers, dance companies and dance elders to present 13 Awards and welcome two new members of the Hall of Fame. The Australian Dance Awards Committee recently announced that the Lifetime Achievement Award for 2015 will be presented to Marilyn Rowe OBE in recognition of a lifetime dedicated to dance. 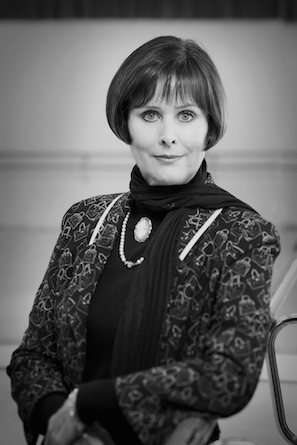 After an outstanding career as an internationally acclaimed principal artist with The Australian Ballet, Rowe dedicated her life to The Australian Ballet School and its students. 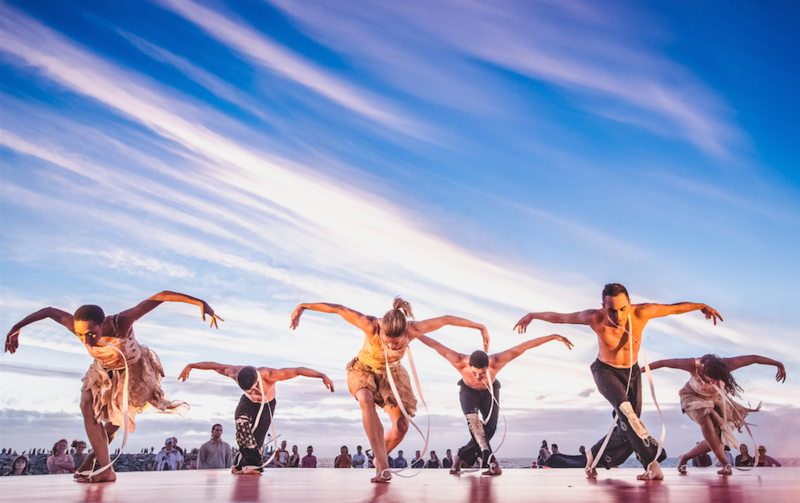 The Australian Dance Awards have secured a stellar line-up of performances to guarantee the success of the first-time-ever presentation of the Australian Dance Awards in Adelaide. The line-up includes Australian Dance Theatre, Dancenorth, Melbourne City Ballet, Restless Dance Theatre and student dancers from Adelaide College of the Arts, Kurruru Youth Arts and the ADT Youth Ensemble. 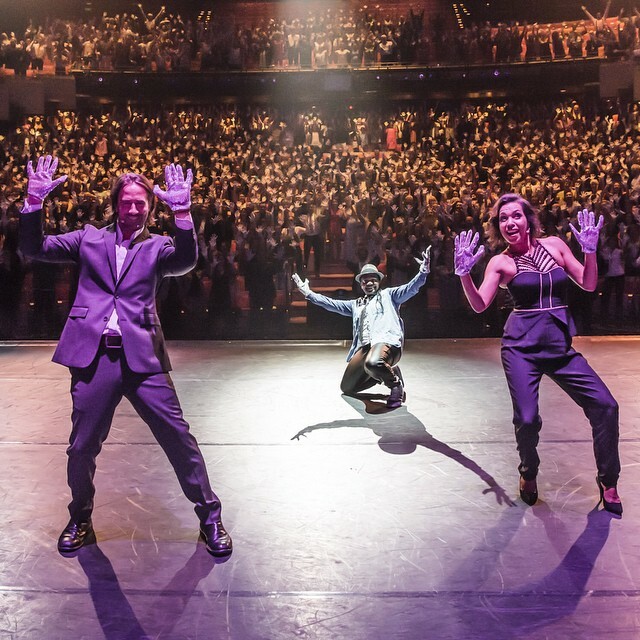 Harlequin Floors is set to continue as the main presentation sponsor for the Australian Dance Awards as the 2015 event moves to Adelaide on Saturday, September 12. 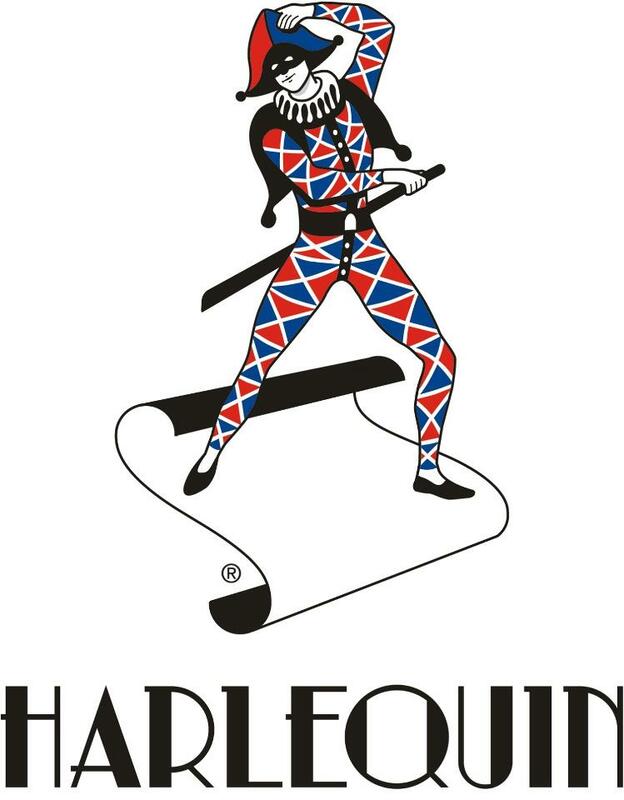 In addition, Harlequin will also present a prize for the best performance at the 2015 Awards ceremony. 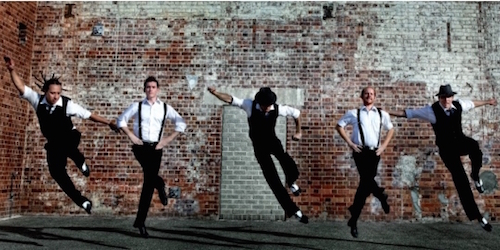 The Australian Dance Awards are bound for Adelaide for the very first time in 2015. The Awards celebrate the achievements of Australian dance companies and dancers in a night-of-nights event combining performances and Award presentations, and will feature past winners and notable guests hosted by well-known Adelaide identity Jane Doyle. Ausdance has announced that the Australian Dance Awards Selection Panel has further narrowed the list of nominations for this year’s Dance Awards. The final winners will be officially announced at the 2015 Australian Dance Awards Ceremony presented at Her Majesty’s Theatre in Adelaide on Saturday, September 12 at 7:30 p.m.
Ausdance has announced that the Australian Dance Awards Selection Panel has narrowed the extensive list of nominations for this year’s Dance Awards. The official shortlist will be announced in July, with final winners being formally announced at the 2015 Australian Dance Awards Ceremony in Adelaide on Saturday, September 12. 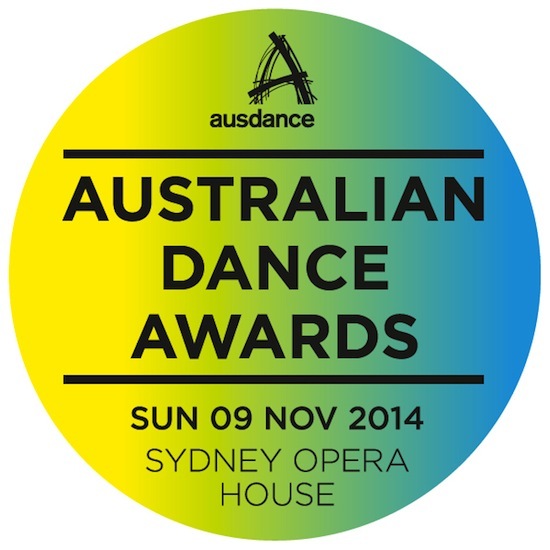 Nominate for 2015 Australian Dance Awards! 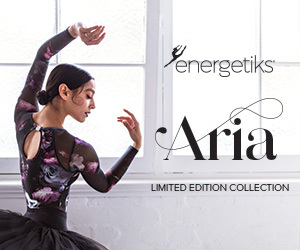 Calling all Aussie dancers and dance fans! You have until midnight on February 28 to submit nominations for the 2015 Australian Dance Awards. 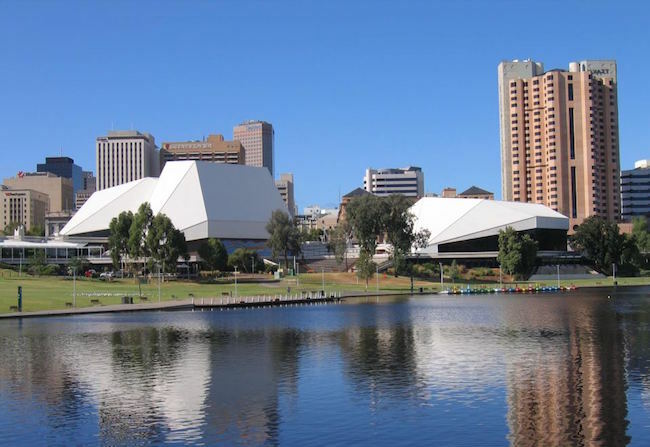 The 2015 awards will be presented by Ausdance SA on Saturday, September 12 in Adelaide. 2014 Australian Dance Awards Recipients! More Seats Released for Dance Awards! 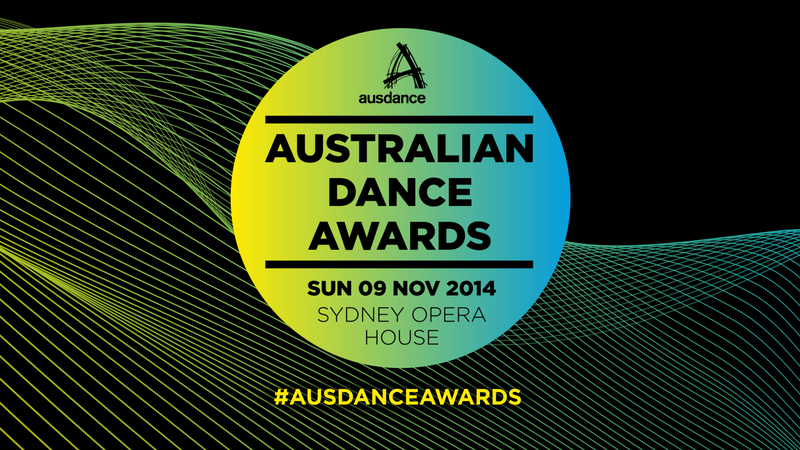 More seats have been released for the Australian Dance Awards this Sunday, November 9 at Sydney Opera House. 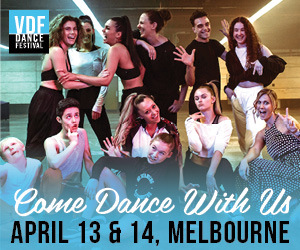 This is your chance to see some of Australia’s most exciting dancers and companies come together for eight amazing performances, including exclusive dance previews and collaborations from ballet and contemporary to hip hop. Great seats are still available and tickets start at only $40! WIN tickets to the Australian Dance Awards! 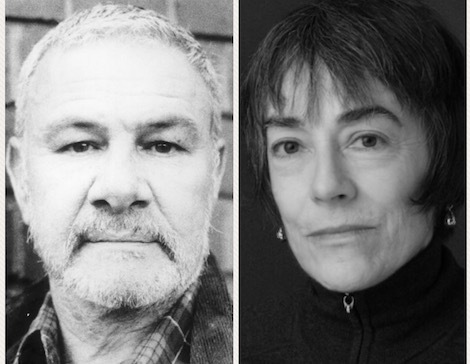 2014 Lifetime Achievement Award announced! 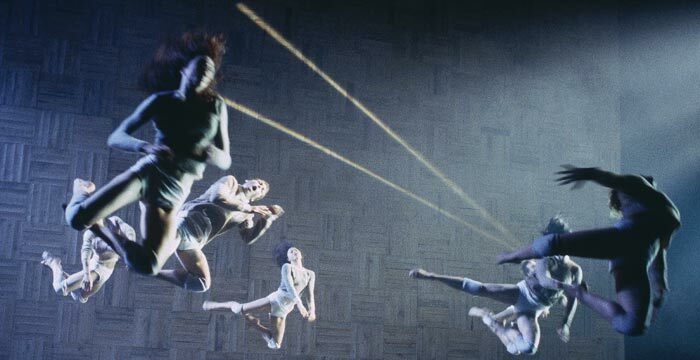 The Australian Dance Awards have recently announced that the 2014 Lifetime Achievement Award will be presented to choreographer Leigh Warren, who previously directed Australian Dance Theatre and Leigh Warren Dance. 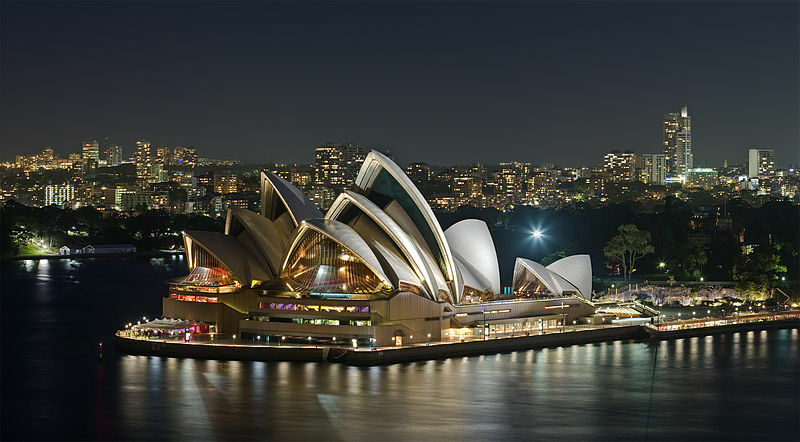 Set for Sunday, November 9, this year’s gala ceremony will take place at the Sydney Opera House. The 2014 nominees for one of the country’s most prestigious performing arts awards, the Australian Dance Awards, were announced today, giving a clear indication there is no shortage of talent on the national dance scene. As the professional dance industry’s pre-eminent annual awards program, the Australian Dance Awards recognise and honour dance artists, educators and administrators and feature 11 categories of achievement. The Australian Dance Awards long nominations have been announced. The list celebrates the work of amazing artists and comes from over 600 nominations that were voted by you from across Australia. The finalists in each category will be announced later this year. Ausdance NSW has announced that this year they will produce the Australian Dance Awards night, welcoming home the awards after seven years. 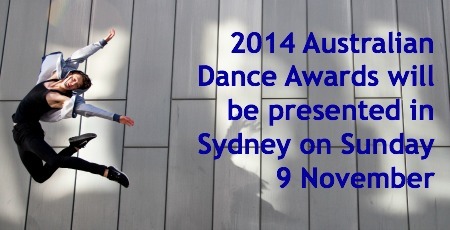 The Australian Dance Awards will be held on Sunday the 9th of November at the Sydney Opera House. Nominate for 2014 Australian Dance Awards! Dancers and dance enthusiasts have until February 28 to submit nominations for the 2014 Australian Dance Awards. The 2014 awards will be presented on Sunday, November 9 in Sydney.